This article was posted February 12, 2019 in Inbound Logistics Magazine. Read the story here. Before you say anything, I’ve already heard all the jokes. You see, my experience in the pharmaceutical logistics sector began during the 1980’s in the high-end fashion business. I know. There are drugs in both. Even planets millions of miles from each other may intersect their orbits at two points. And such is the relationship between fashion and pharma logistics. I notice parallels between some seismic changes that began in fashion 30 years ago and the pharmaceutical supply chain today. The good news is we can learn from history and move forward with confidence. Fashion: Exclusivity used to mean rare and expensive. Fashion designers I worked with purchased the finest fabrics in the world that were painstakingly and lovingly transformed into cutting-edge designs. The extensive time required to create the clothes and the scarcity of the fabric generated a limited quantity of products that commanded a very high price. But that was then. Today,the fashion business is transformed by technology where retailers with computerized equipment take hundreds of measurements and deliver a custom-made suit of high quality material in two weeks and at a reasonable price. Pharma: The lesson for pharmaceutical logistics is that the current architecture and processes for fulfillment of medications is fast becoming a side-show to the main stage of personalized medicine, ingredient customization and delivery without transportation. Will pallets still be hauled by air and road in the future? Yes. However, individualized dosages manufactured by 3D printing technology located in or near patient homes is already here. A friend working at a major fashion print magazine 15 years ago asked his publisher whether he was afraid the internet would take his job and he responded that the next person in his seat would deal with it. Current pharmaceutical supply chain professionals have no time to wait for their successors. Fashion: My job responsibilities for the fashion designers I worked with in Manhattan included handling invitations and seating for semi-annual fashion shows. These seasonal events determined the news coverage and sales prospects for each collection. In the mid-1990s I began to receive phone calls from people calling themselves ‘bloggers’ requesting a show invitation. These invitations were more valuable than gold. At the time, there was no way I would take away the seat of a print journalist to accommodate someone posting on the internet. Today, my children, who are 21 and 16 years of age, have never held a newspaper that I am aware of. Pharma: Logistics Services Providers working with pharmaceutical manufacturers harness the internet for EDI transmissions and for serialization requirements including 2D barcoding and communication between trading partners, but the e-commerce component utilizing the internet for direct fulfillment is almost non-existent for delivering prescription drug products to patients. In the company I work with today, my colleagues handle e-commerce fulfillment for personal care products using a warehouse management system (WMS) not linked to our WMS for prescription drugs and Controlled Substances. But the two worlds are colliding. Cosmetics and skincare products may be classified as drugs by the FDA depending on their intended use. And we are urging the programmers of our more agile WMS systems designed for e-commerce compatibility to test First Expired First Out (FEFO) capabilities. Instead of being caught off guard as I was in my fashion days, I’ve learned to harness the internet to foster business opportunities. Fashion: In the 1990’s designers measured success by the opulence of their stores located on the most prominent shopping streets in the world. Called ‘flagship’ stores because they set the tone for brand identity throughout the entire organization, these retail temples had room to display oceans of product with armies of staff catering to multitudes of shoppers. As the “Wolf of Wall Street” economy of the 1990s cratered from the bursting of the dot-com bubble in the early 2000’s, sales from flagship stores no longer justified their high rents and the designers shed their flagships in droves. Pharma: Hub locations may be the pharmaceutical logistics equivalent of flagship stores. Warehouse strategies have evolved from hub and spoke configurations to regional distribution centers to high-density super-hubs. Although the increase of e-commerce shipping and returns has not yet made a major impact on pharmaceutical logistics, a re-thinking of supply chain efficiency is warranted. The ‘patient-centered’ orientation of the healthcare supply chain, where patients enjoy increasing input into decisions concerning their well-being is upending the market for pharmaceutical logistics with equally significant shifts in business practices. Fashion: I often wardrobed celebrities and pulled suits from the warehouse prior to appointments. One time I shared a ride with our sales manager from our midtown office to our Secaucus warehouse. It seems product that appeared on the AS-400 software system was actually not in stock and he wanted to investigate. The warehouse was filled with pickers fulfilling retailer orders. When we met the operations manager he assured us there was no way any item was not accounted for in the system. “If you pick any item in this facility,” he challenged my colleague, “I will immediately locate the product details and order information.” Picture a 200,000 square foot warehouse filled with thousands of pieces of men’s and women’s apparel, both hanging and folded. “How about this one?” the sales manager asked as he pulled a single suit from the rack immediately beside us. The manager took the suit back to his glassed-in office. We went on with our business and left an hour or so later, without hearing from the manager again. We later found out that there was no record of the suit and he was embarrassed to admit it. 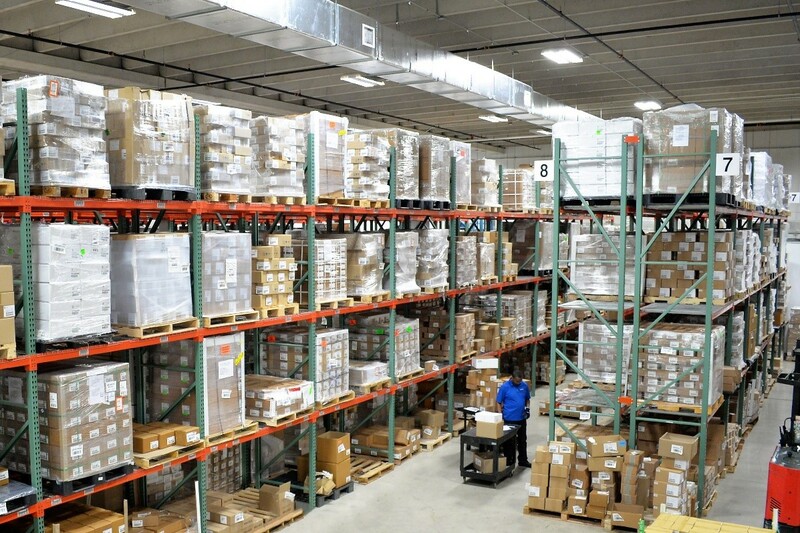 Pharma: When I first visited a warehouse storing pharmaceutical drug products, I was struck by the low ratio of warehouse technicians to square footage compared with apparel. The labor-intensive procedures were similar between industries, but the stakes are much higher for mishandling medications compared with a suit or dress. The necessity of e-commerce has transformed the manual processes of the old fashion warehouse into highly automated operations. But the lesson of the embarrassed warehouse manager is that automation is not the solution for greater efficiency within the pharmaceutical supply chain. People are at the heart of any process improvement. 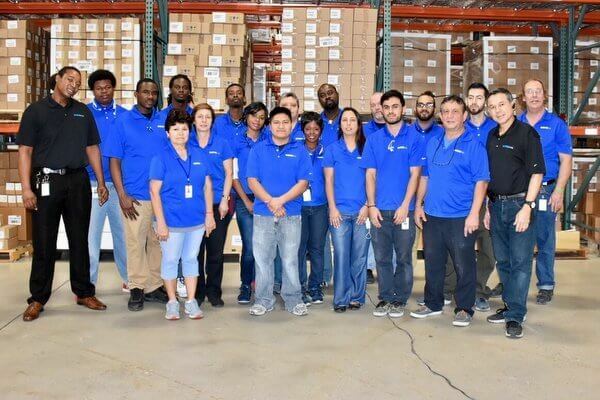 A program to utilize data to improve key performance indicators of warehouse employees may improve productivity and reduce the need or urgency to transition to automated fulfillment. Fashion: The fashion business was on such an upswing in the 1990’s that leadership of the global designer company I was working with initiated a franchising program in the U.S. market. Each franchise owner was obligated to purchase a minimum volume of product for their store. What seemed like an obvious way to generate revenue quickly deteriorated when the location in Scottsdale, AZ and Las Vegas, NV found that product variety was lacking. Their customers were not interested in purchasing cashmere sweaters and wool suits. The process of adding items to the product mix was tedious. The business model deteriorated over the next two years until headquarters returned to corporate ownership of retail stores. Pharma: Pharmaceutical manufacturers are feeling heat from increasing financial penalties imposed by prominent industry wholesalers for shipping and delivery delays. What may seem to be a minor imposition from the wholesaler perspective has major financial implications for upstream manufacturers and their trading partners. Instead of working with industry to resolve differences, these wholesaler policies risk de-stabilizing the supply chain. As I learn more about the efficient movement of medications from manufacturers to patients, I think about my years in the fashion business. And I’m gratified that I can blend fashion with pharma for better decision-making. Although I miss my generous clothing allowance. Larry Hotz runs the marketing department at WDSrx – Woodfield Distribution, LLC, a logistics services provider for human and animal prescription and over-the-counter medications, medical devices, health, wellness and personal care products. His fashion industry chops were earned at companies including Donna Karan and Hugo Boss.